When I think back on my audiophile life, I can see where my biases were often based in fact, and confirmed by the accumulated experience of many audiophiles (could they all have had the same bias?). For example, everyone and his brother knew that the old Krell KSA-250 and MDA-500 amps had some of the deepest, most powerful bass in the business -- they made your speakers sound as if you’d added subwoofers. Krell amplifiers also had the biggest transformers I’d ever seen. Coincidence? Spectral amps, on the other hand, were always thought to sound more transparent and quick than the Krells, though they couldn’t match them in the bass. The Spectrals also had smaller, less-robust power supplies. Another coincidence? So what to do with Anthem’s Statement M1 monaural amp? The thing weighs only about 20 pounds, and doesn’t even have a conventional power supply that I can admire -- it doesn’t even have top-panel vents to peer through. And yet it’s rated to deliver a mind-boggling 1000W into 8 ohms or 2000W into 4 ohms, which makes it, at least on paper, as powerful an amplifier as I have ever reviewed. As I embarked on this review of the M1 ($7000 USD per pair), I figured it would be just as hard to overcome my biases as it would be to decipher the amp’s inherent sound. Wait -- do you think the two things might have something to do with each other? Oh, heck, let’s just dive in. The power ratings quoted above are impressive, as is Anthem’s claim that the M1 can put out 2400W into 3 ohms. The 2000W/4-ohms spec is continuous power, assuming the M1 is hooked up to a 240V line, or peak power if it’s plugged into a more typical 120V line. (The M1 will safely operate on an AC line delivering between 108 and 264V.) The M1 is also said to be stable into loads below 3 ohms. Each M1 relies on eight 65A MOSFET output devices for its output stage, making it quite robust into, Anthem claims, any speaker load. As I perused the Statement M1’s specifications, more things jumped out. The signal/noise ratio is said to be 113dB at rated power (1000W). I’ve noticed over the years that, depending on the manufacturer, the S/N spec can be all over the map. First, is the reading taken at or just below the rated power output, or at 1W output? There’s very little consistency in this among manufacturers, and even if the two S/Ns appear to be taken under the same conditions, I’ve noticed little correlation between this spec and the sound. The M1’s claimed S/N of 113dB is impressively high, but not in the context of, say, the products from Boulder Amplifiers, which regularly weigh in at over 130dB "below rated power." They sound it, too. The second spec that stands out is power consumption. Now, the M1 is a class-D design, which I’ll get into more below. One thing you need to know about class-D is that it’s highly efficient -- the M1 consumes a scant 33W at idle on a 120V power line. Typically, while operating, it consumes 300W, according to Anthem. 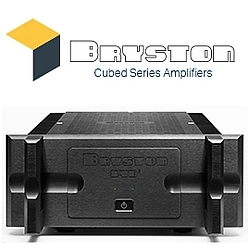 By comparison, a huge Gryphon Mephisto mono power amplifier idles at 700W. The M1 will be kind to your electric bill, and doesn’t have to dissipate much heat in comparison to huge class-A behemoths. There’s no question that the M1 demands very little from its operator. But the M1 is not of the off-the-shelf variety class-D design found in a number of other products, many of which use one of B&O’s ICEpower modules -- which, to me, means that there’s little to differentiate these products in terms of sound. In some instances, as far as I can determine, the only real difference is the casework -- the guts can be identical. Over a period of five years, the Anthem’s class-D circuitry was developed from the ground up at Paradigm’s Advanced Research Centre in Ottawa, Canada, by a team of designers led by Paradigm/Anthem engineer Marc Bonneville. 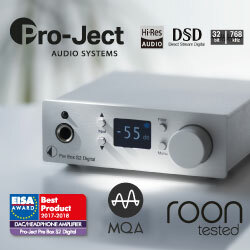 The team’s design goals were many, but included: no compression as the output power increases; flat frequency response into any load, without having to resort to digital conversion or equalization; stable into all loads, including open and short circuits; a low noise floor; and exceptional efficiency with low heat output. The folks at Anthem will tell you that class-D has received a bad rap over the years, and that it’s deserved, due to how the technology was implemented. They state that their version is superior for a number of reasons. For instance, Anthem claims that the M1 uses a "high-speed control loop [that] includes high-speed instrumentation-grade op-amps with 100MHz unity gain bandwidth, 3000V/μs slew rate, high-speed complementary comparators and 5-nanosecond Advanced CMOS Logic gates," in order to provide exceptional high-frequency resolution, a typical knock against class-D designs. The M1 is said to have low levels of radio-frequency emissions, exceptionally flat frequency response (+/-0.1dB, 20Hz-20kHz), and a power supply that provides greater regulation than typical linear supplies. In addition, the M1 is claimed to be virtually unclippable and unconditionally stable. So hook up your beastliest speakers to the M1 and stand back . . .
Back in August 2010, I reviewed the Musical Fidelity Titan power amplifier, a $30,000, 250-pound, two-chassis monster that, like the Anthem Statement M1, is rated to deliver 1000Wpc into 8 ohms or 2000Wpc into 4 ohms. Suffice it to say that my initial impressions of the Titan and the M1 could not have been more different. With the Titan I first noticed -- no, was overwhelmed by a massive bass presence: what seemed to be limitless bass depth, and vise-like control over the entire low end. The sonic statement those amplifiers made in my listening room was one of shock and awe. I liked this aspect of their sound -- a lot. Conversely, the Anthem Statement M1 was like a ninja sneaking up in the night. At least initially, its most striking characteristic was what I didn’t hear. There was no shock or awe. Instead, the M1 made me ask questions: What does a 1000W amplifier "sound" like? Did I expect to be overwhelmed by the M1 as I had been by the Titan, or would the ample wattage come into play only on rare occasions? Even after living with the Statement M1s, I’m still not sure I can answer these questions with conviction. Some aspects of its sound did hit me right out of the gate, but I don’t think any of them had to do with the M1’s prodigious power rating. First, the M1 was quiet -- as quiet as most of the more accomplished amplifiers I’ve had in my system over the last few years. Now, it wasn’t groundbreakingly quiet -- the Halcro dm68 monos from years back, or the Boulder 2060 stereo amplifier that was my reference for a couple of years, were appreciably quieter. But the M1s were right in there with the best of the rest, and at a fraction of the price. (I usually have some megabuck amps in here from the likes of Gryphon or Vitus, to name two.) I was surprised and impressed at how quiet the Anthems were. I put my ear right up against the tweeter of a Dynaudio C2 Signature speaker and could barely hear the faintest bit of noise -- and only when my home was completely free of extraneous sounds. If having a low noise floor is important to you, particularly so that you can hear low-level detail through revealing speakers, you should definitely audition the M1. I found that listening late at night was a joy through the Anthems, when quieter musical works were the order of business and lower listening levels were required. The Anthems sounded turned off even when turned on -- unless they were playing music. The Statement M1 was also mechanically silent. Nothing gets me more annoyed than a huge, expensive amplifier that, even before I hit Play, I can hear buzz from my listening seat. That’s a really bad start and, in my opinion, a fatal flaw for an amplifier. Lately I’ve been surprised by amplifiers that otherwise seem well designed but that make too much mechanical noise to be enjoyed -- at least by me in my Music Vault, which is a very, very quiet listening room. The M1 was almost completely silent, in terms of both the noise audible through the tweeters and emanating from its chassis. In fact, you could place these amps right next to your listening chair, if you had to, and never notice them. That’s a great characteristic for a power amp, in my book, and maybe one big reason to avoid the huge transformers of traditional amplifiers. Back to the comparison with the Musical Fidelity: That 1000W power-output rating led me to expect from the Anthem Statement M1 the crazy bass I’d heard from the Titan. After all, class-D designs have always been known for good bass -- one reason, along with efficiency, why they’re often used as subwoofer amplifiers. The Anthem M1’s bass, however, didn’t bowl me over at first. It didn’t make music sound room-fillingly big -- until it needed to. What I eventually figured out was that the M1 could be a subterranean beast, but only when the music demanded it; it did not, by default, just sound "big" in the way some amplifiers can. With small-scale music, the Anthem M1s sounded subtle and unassuming. But then, out of the blue, I’d play a bass-heavy track and . . . here comes the boom! When I played large-scale music that demanded immense reserves of power, the M1s apparently did have physical impact, great low-frequency reach, and complete control of the Dynaudios’ woofers. For instance, my go-to bass torture track for many years has been "Norbu," from Bruno Coulais’s music for the film Himalaya (16-bit/44.1kHz AIFF, Virgin). Playing this track proved to me that the M1s had the kind of tight-fisted bass control, weight, depth, and slam that I’ve heard from the best 150-pound amps. I heard and felt bass rolling through my room that seemed to belie the smallish size of the Dynaudio woofers. I could feel the wallops in my chest, which I wasn’t expecting. The articulation in the lower registers was also impressive -- all I heard was clean, crisp whacks. "Norbu" completely energized my room and never ran out of steam, thanks to the Anthems. From the tonal perspective, there wasn’t really anything to criticize. These amplifiers don’t have much character at all in terms of frequency-response aberrations or colorations. 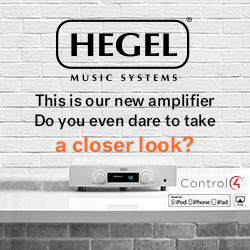 I didn’t hear anything that would attract or repel a tube-o-phile, nor did I hear anything objectionable that would let on to the listener that he or she was listening to a decidedly solid-state amplifier. The sound was clean and clear, but not scrubbed to the point that it ever sounded threadbare or lacking in tonal density. In that sense, the Anthem Statement M1 approached the theoretical ideal of the straight wire with gain. On the other hand, I could easily see some listeners not appreciating the M1s for all they don’t do. They didn’t have the lushness of a Gryphon Antileon Signature class-A amplifier, or the huge soundstage that a Simaudio Moon Evolution W-8 can throw. They played it straight by simply amplifying the signal. The midrange was balanced nicely, allowing voices to come through with excellent intelligibility and with good focus within the soundstage. For instance, Astrud Gilberto’s voice in "The Girl from Ipanema," from Getz/Gilberto (24/96 AIFF, Verve/HDtracks), was precisely located on the left-hand side of the soundstage -- I could easily hear all the small details in her voice that have made this track so endearing to listeners through the years. Listening to a number of high-resolution tracks, I came to the conclusion that the Statement M1 wasn’t rendering the high frequencies with the ultra-airy and space-around-notes manner that I’ve heard from some ultra-high-end amplifiers. The treble was not rolled off or truncated that I could hear, but I could see some listeners preferring the greater air and dimensionality that some amplifiers can produce. Alas, the Anthem continued to be an enigma in terms of my being able to attach to them a defining sonic characteristic. I listened to Robert Plant and Alison Krauss sing "Please Read the Letter," from their Raising Sand (24/96 AIFF, Rounder/HDtracks), and enjoyed every minute of it. Although the soundstage was a touch flat -- if only in comparison to the aforementioned Gryphon and Simaudio amplifiers -- all of this recording’s detail, ample control over the speakers, and immense power reserves, were there in spades. There was hardly anything to fault. These amplifiers did a workman’s job. Or, with 1000W on tap, the jobs of many workmen! After listening to the Anthem Statement M1s for several weeks, it struck me that listeners auditioning a component often want a single sonic characteristic to stand out. They want to hear something "special" from a product, particularly one on which they’ve spent or are about to spend thousands of dollars. I can understand that. A product that’s essentially neutral isn’t initially enticing because there isn’t something tangible to latch on to -- something easily identified as superior. 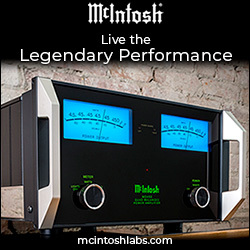 The Anthem Statement M1 is an essentially neutral amplifier. It doesn’t sound ruthlessly fast or microscopically resolving, and it doesn’t sound crazy big. Some amplifiers out there may have those characteristics and would be judged superior to the Anthems. I would have no problem with that assessment, and might make such a judgment myself, given the right circumstances. But what can’t be denied is just how good the Anthem Statement M1s are. They won’t color your speakers, and they’ll likely drive any speaker you might ever choose. 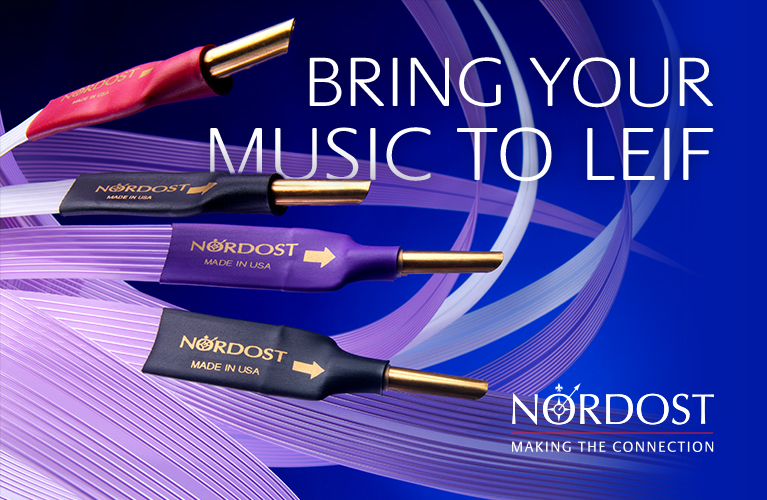 They have enough power to never be the limiting factor in your listening experience. The question, then, is this: Is that enough for you? Do you need to see a huge chassis? Do you have an intrinsic desire to own an amplifier built like a Swiss watch, with bling galore and a price to match? Do you need to hear something that easily confirms your having made the "right" choice? 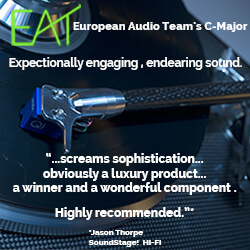 Those aren’t easy questions to answer for those of us who’ve played in the stratosphere of the very best audio gear. What I can unequivocally say is that the Anthem Statement M1 is darn near the ideal of a straight wire with gain, and at 1000W, that gain is almost unlimited. Is that enough for you? I suspect that, for many listeners, the answer will be an emphatic yes. Price: $7000 USD per pair.